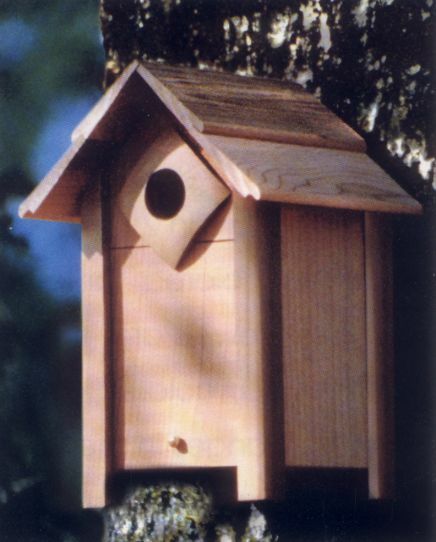 The Large Nesting Box is made of durable redwood with brass components. The door can slide down for easy cleaning. Likely residents include bluebirds. finches, tree swallows. Can be mounted on a tree, wall or post. Dimensions: Height 13 in., Interior width: 5 3/4 in. x 5 3/4 in., Height to hole: 6 3/4 in., Hole size: 1 1/2 in.